It’s just under a month until Diwali, and if you’re starting to think about planning your lessons and gathering resources then you might want to take a look at the following book: A Story Of Diwali – The Festival Of Light. It was written by Pippa Howard, a nursery practitioner whom I know from my brief time working as a teaching assistant after leaving university. I was lucky enough to receive a copy and I’m very impressed. It tells the story of Rama and Laskshman’s journey to rescue the beautifull princess Sita after she was taken by Ravana, the evil demon with ten heads. It’s perfectly pitched for use in early years settings, using simple but engaging language. It also looks fantastic. The illustrations (by children’s illustrator and graphic designer Jan Moffit) are vibrant and attractive and really compliment the story. All in all it’s a fantastic introduction to the Diwali story and I would highly recommend. 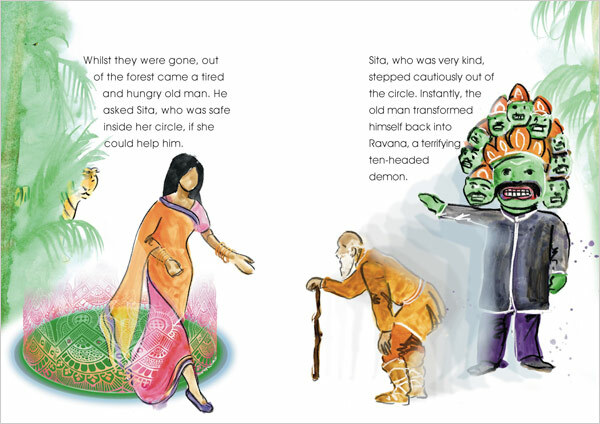 For more info on the Diwali story and a breakdown of the Diwali resources we have on the site, check out this blog post: //www.earlylearninghq.org.uk/earlylearninghq-blog/diwali-teaching-resources/.